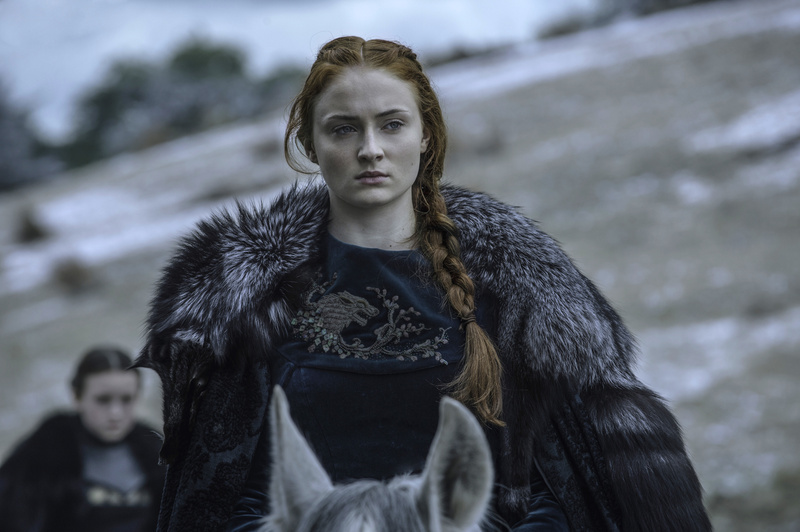 ALL HAIL SANSA, 100% OFFICIAL BADASS OF THE NORTH. Following the events of “Battle of the Bastards” it’s clear that things are going to start looking up for Sansa Stark. But — SPOILERS, and seriously if you haven’t watched “Battle of the Bastards” yet, what are you doing here?? — before things are truly better for her, they might get worse. Much worse. We might not have seen the last of Ramsay yet. Don’t get all up in arms about someone brining him back from the dead, he’s officially gone, don’t worry. 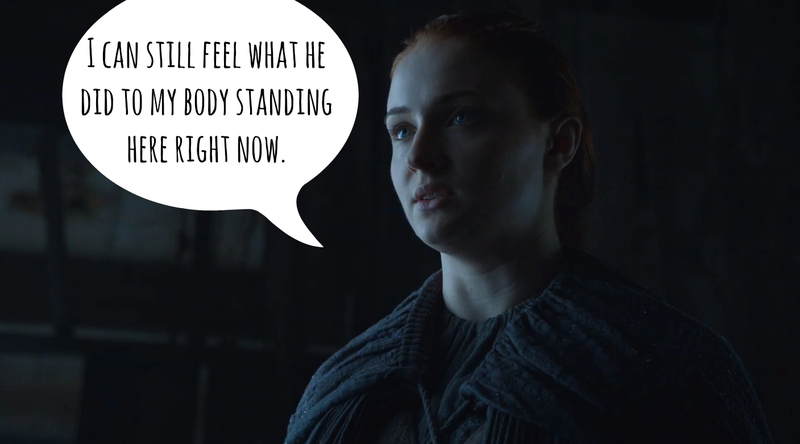 However, he could live on in other ways: Sansa might be pregnant. This is not a new theory. We’ve discussed this theory before, and it hasn’t been proven yet. But following the events of “Battle of the Bastards” there’s some new evidence for this theory that we’ve gotta talk about. Once again, clearly talking about the emotional abuse during their marriage. But, BUT, he could also be talking about how even if he’s gone, or locked up in the dungeon, wherever he is, dead or alive, they have a connection. They have a child. Here’s a theory: Both Sansa and Ramsay know she’s pregnant. No one else does. Remember her speech? “You words will disappear. Your house will disappear. Your name will disappear. 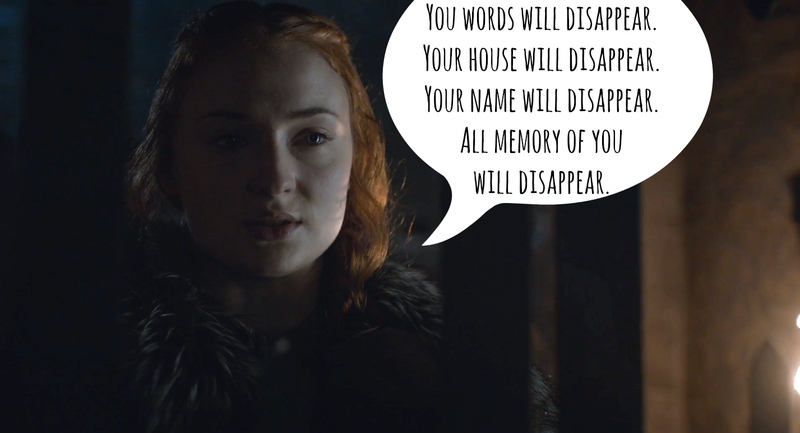 All memory of you will disappear.” It really feels like she’s saying that even though he THINKS he’s going to live on, via a child with his name, Sansa will HAVE NONE OF THAT. Even if everyone knows she’s carrying Ramsay’s child, she could easily give him the surname Snow — and hey, that was Ramsay’s name for a while. Or better for us (not for Ramsay), the future maybe child of Sansa and Ramsay could simply be given the name STARK. It’s entirely possible. Also the previews for next week show Sansa and LITTLEFINGER getting closer, so…might she already have a plan for this future maybe child? There’s only one more episode of Game of Thrones left, so everything is fair game.